Join Estes Park Nonprofit Resource Center, Colorado Nonprofit Association and Community Resource Center for a collaborative advocacy training! In this two-part training, learn the rules and strategies for nonprofit advocacy then join our panel of elected officials for their insights on how nonprofits can build relationships and influence public policy. Rebecca Gorrell is the Director of Education and Leaderships Development for Community Resource Center. She brings more than 16 years of experience in nonprofit management, advocacy, fund development, and community engagement. Most recently, Rebecca served as the Executive Director of the Colorado Participation Project, leading efforts to equip and activate nonprofits in civic engagement and advocacy. 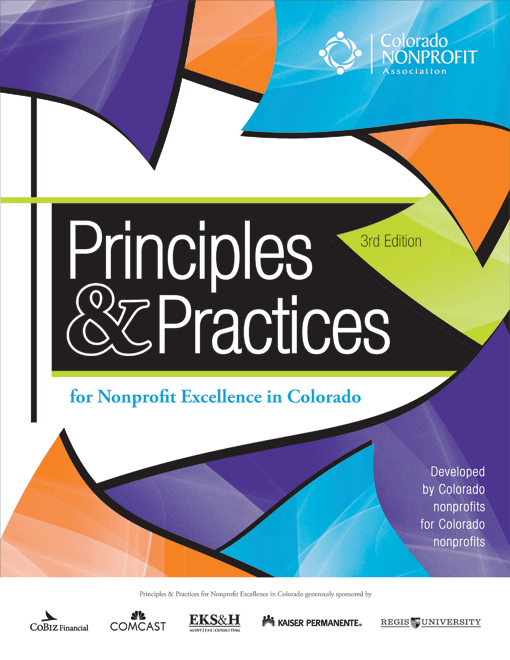 She has trained and built the capacity of nonprofits across the country and is a contributor to the Colorado Nonprofit Association’s Principles & Practices for Nonprofit Excellence. Rebecca holds a Bachelor of Arts and a Masters of Nonprofit Management from Regis University. Mark Turner is the Director of Public Policy for Colorado Nonprofit Association. Since 2005, he has directed the organization’s actions on state and federal policies, trained nonprofits on advocacy and lobbying strategies, and communicated with Colorado’s nonprofits about pertinent laws and regulations. Previously, he was the Membership Services Manager for the Association and worked as a Research Assistant for the Latin American Research and Service Agency in Denver. He earned a B.A. in Government and Legal Studies from Bowdoin College in 2000 and completed the Denver Community Leadership Forum in 2004 through the University of Colorado at Denver. He serves on the public policy committee of the National Council of Nonprofits and the business advisory committee to the Colorado Secretary of State. He is a past Co-Chair of the Young Nonprofit Professionals Network of Denver. In his spare time, he plays the drums, writes poetry, and plays Ultimate Frisbee.